For today's post, I wanted to do something different. 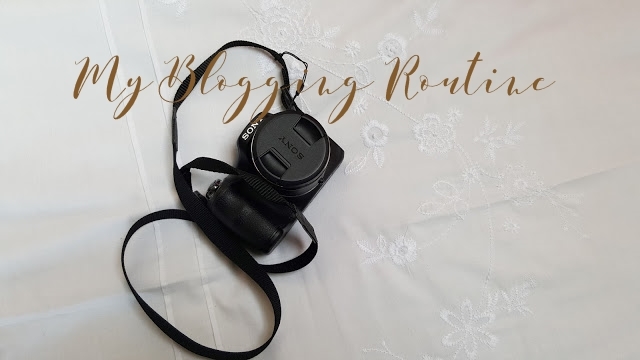 I thought I'd talk you through a small insight into my routine in regards to blogging, starting from planning to clicking the publish button. Enjoy! I like to plan my posts a month or two in advance but if I am extremely excited about the month, I plan 3 months in advance. Other times, I just sit down and plan a whole month a couple days before the month even starts. I will not lie, I've already started to plan December's blog posts but my current 20 Days Of August was planned 10 days before August even started. As I do post now 4 times a week, I plan my whole month on Microsoft Excel. Before planning on the computer, usually, I write plans down in a notebook or on my phone. In Mircosoft Excel, I write down all the days I'll be posting and the titles of my posts. Personally, I do not fuss about what order I do things, whether it is writing my post first or taking my photos first. At the moment, I am writing my posts first in which as I write a picture essentially comes to life. A blog post for me on average takes roughly 2 - 4 hours to write if it has been planned properly, however, if not it takes 1-2 days. After writing for those hours, I add all my affiliate links and links to any previous posts that may be included in the post. After writing at least 2 posts, I take a break and start thinking about the way I want my photo to look. This all depends on whether I want it to be a flat-lay or not, whether I want there to be a marble background or a white background. On days where I'm a bit unsure about what I wanted my photos to look like I do get inspiration from Pinterest or spend my time in craft shops for some props. To edit my photos, I use the free App Fotor which I love. It's so easy to use and due to the camera I use, it doesn't take long to fix my photos. I have used Photoshop for a bit and I did enjoy using it, so I might purchase it for my blog. To edit my photos on Instagram, I usually send my photos through onto my phone or I take them on my phone. My favourite apps for editing on iPhone would have to be Afterlight and Aviary - both two great apps for a daily basis. When I do write bulk posts, I like to do it in Microsoft Word or even in Blogger where I write as much as I can for a whole day. On most days I can write up to 3 posts but most of the time, I do bulk writing on weekends. As by now I have probably written a few posts which need to tweaking or adding more in my posts, I spend my weekends writing a bit more and scheduling the upcoming posts for the week. Once I hit publish, I spend roughly 10 minutes posting my new post to all my social media sites. I schedule my tweets via Buffer, I post my photo on Instagram, I pin my post to Pinterest and share my post to Google+. This is in order to make sure that all my followers will be able to see that I have a new post up!!! If you are a blogger, what is your blogging routine like?